Our Client is looking for a qualified candidate to assist in the truck spare parts market study (types, price, and brands) and market spare parts to supplier and transporters. •Scour and market for “Accurate” prices and brands of specific spare parts. •Properly reporting and documenting findings and maintain good relationships with customers. •The ideal candidate should possess a general knowledge about heavy duty trucks mechanical/electrical systems, deeper knowledge about spare parts market in Dar and acquaintance with the trucks transport sector in Dar. Our client, a big international materials construction company is looking to hire sales representatives to market and sell their products. A candidate must have minimum 2 years of experience in sales and marketing preferably door to door sales of any of any product. Advanced diploma or degree in Business Administration or any related. Flexible and willing to learn. 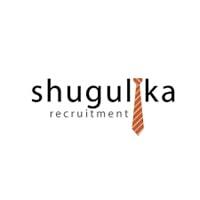 •The qualified candidates should send their CVs to luisia@shugulika.com before 5th April. Only shortlisted candidates will be contacted.